The yield on a bond is the return on investment you would expect if you were to hold it to maturity. 2. When Do Stocks & Bonds Go Up at the Same Time? The yield curve shows the relationship between interest rates and time to maturity of short- and long-term U.S. Treasury bonds. The yield on a bond is the return on investment you would expect if you were to hold it to maturity. Use the shape of the yield curve for making asset allocation decisions, because it is usually a reliable predictor of economic conditions. Yield curves have normal, steep, flat or inverted shapes. The normal yield curve slopes gently upward, because short-term interest rates are lower than long-term rates. Investors demand higher rates for longer-term bonds, because there is greater uncertainty and risk over what might happen several years from now as opposed to six months from now. You should read a normal yield curve to mean that the economy is growing at a steady pace. Investors do not perceive a risk of inflation and do not demand an additional premium for holding long-term bonds. Without inflationary pressures, there is no risk of U.S. Federal Reserve intervention to slow down the pace of economic growth. Companies can drive revenue and profit growth, which fuels stock market optimism. At some point, the combination of strong economic growth and low inflation ends as demand outpaces supply and investors begin to worry about rising interest rates. The yield curve becomes steeper as long-term bond yields rise faster than short-term yields. Tight labor markets and rising commodity prices lead to inflation, which usually means monetary policy intervention. Investors sell long-term bonds, which drives down prices and increases yields. Stock markets usually fare poorly in such an environment, because higher rates usually mean lower corporate profits, which lead to lower stock prices. Read a flat yield curve to mean that the spread between short- and long-term bond yields has become narrower. This usually means that bond investors expect the economy to either stagnate or slip into a recession. 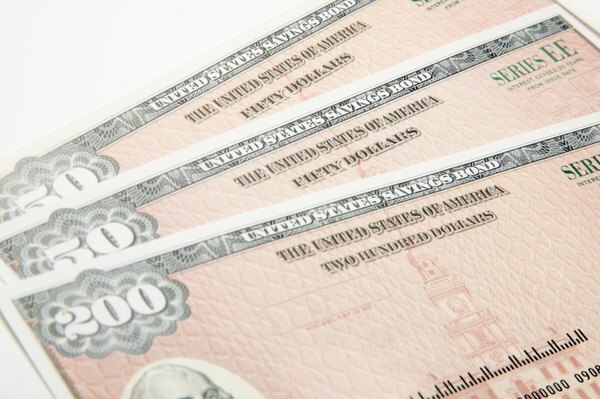 In this economic environment, short-term bonds are attractive, because investors get similar yields without having to take on the risk of holding a longer-term bond. An inverted yield curve slopes downward because long-term bond yields are lower than short-term bond yields. This usually signals an impending or ongoing recession. Bond investors are betting that the Federal Reserve will intervene and lower short-term interest rates to stimulate economic growth. They hold on to long-term bonds and move out of short-term bonds, thus pushing short-term yields above long-term yields as the prices of short-term bonds drop. Stocks usually do not fare well during a recession, although patient investors can accumulate quality stocks in anticipation of an eventual economic turnaround. Federal Reserve Bank of San Francisco: What Is a Yield Curve, and How Do You Read Them? Greg Mankiw's Blog: What Does an Inverted Yield Curve Mean?